You are here: Home / Green Living / Are You Washing Clothes in Cold Water? Quick and Cold is the Way to Go! This post about washing clothes in cold water is a sponsored conversation written by me on behalf of Tide at Walmart. The opinions and text are all mine. I have two teens at home and about a year ago, I taught them how to wash their own laundry. Can I just say that my life has gotten considerably easier since then? Of course, they are often complaining about a lack of socks and underwear but that is just bad planning on their part! One of the first things I taught them was to always choose a quick and cold cycle when they wash their clothes. Washing clothes in cold water is better for the clothes AND better for the environment. Quick and cold is definitely the way to go in the laundry room. If this isn’t how you wash your clothes, I would love for you to take the #QuickColdPledge with Tide at Walmart. One of the biggest benefits of washing clothes in cold water is that it is gentler on the material. Colors stay brighter when you wash in cold. Clothes will shrink less. Washing in hot water causes more shrinkage. With my son’s long arms, he really doesn’t need his shirt sleeves shrinking! Hot water often sets stains. That means, washing in cold water will help you get stains out of clothing better than hot. Once it is set, it is difficult to get out. Cold water laundry washing is better for the environment. Most of the energy used in doing laundry is from heating up the water. Use cold water and use less energy! There’s an 80% reduction in energy use when using the quick and cold versus normal cycles! Cold water saves money. Since you are using less energy, you are also spending less money! 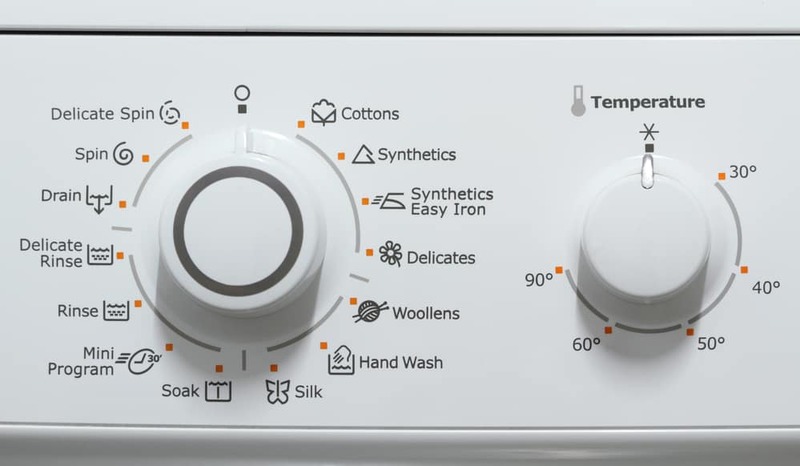 Tide is encouraging as many people as possible to switch their washing machine cycles to quick and cold. Why? Because they know that a quick cycle and cold water is better for your clothes AND the environment. Quick and cold results in a 40% decrease in greenhouse gas emissions. 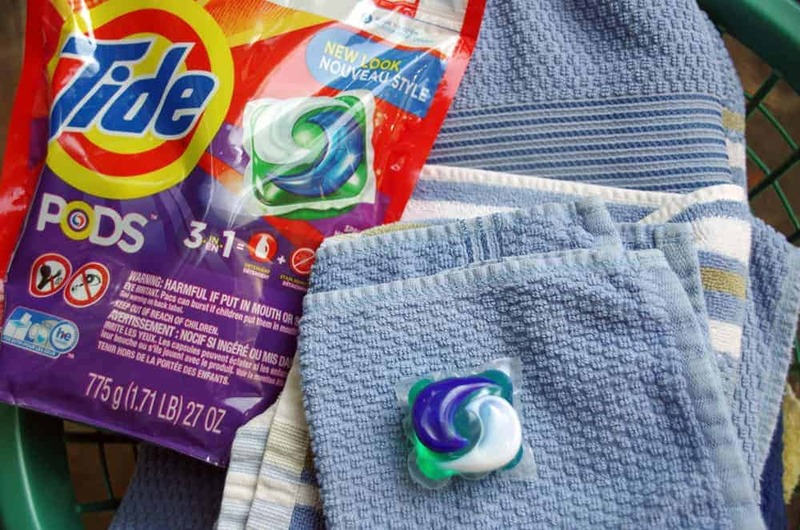 Tide PODS are specifically formulated to work efficiently in quick and cold cycles. When used in quick and cold cycles, you get TEN TIMES the cleaning power in half the time compared to the leading bargain liquid detergent brand. NEVER skimp on your laundry detergent. You will just end up using more and getting less cleaning power! 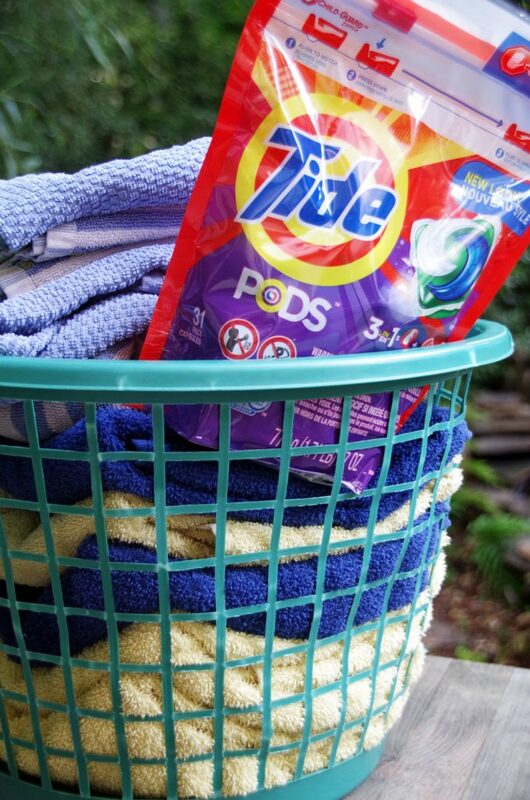 Take the Tide #QuickColdPledge with a Tide PODS coupon! Tide wants you to take the #QuickColdPledge! Choose the quick cycle with cold water to save time and lighten your environmental impact. Tide PODS can be found at a great price at Walmart. Get started saving right away by opening up your Flipp App on your computer or phone. Then, find the coupon for $2 off Tide PODS which you can use at Walmart. So, now you know why you should wash clothes in cold water but how do you get them as clean as possible without heat? It isn’t hard! Follow a few of these easy laundry tips for perfectly clean clothes on a quick and cold cycle! Buy the right detergent. Some detergents made specifically for cold water. Tide PODS are formulated for quick and cold! Do a pre-rinse in cold water if you are washing really sweaty workout clothes. I have a REALLY hard time with stinky workout clothes in my house! Spot treat stains. Give your clothes a quick check to see if there are grass stained knees or ketchup stains. Use the appropriate water level for each load to reduce water waste. 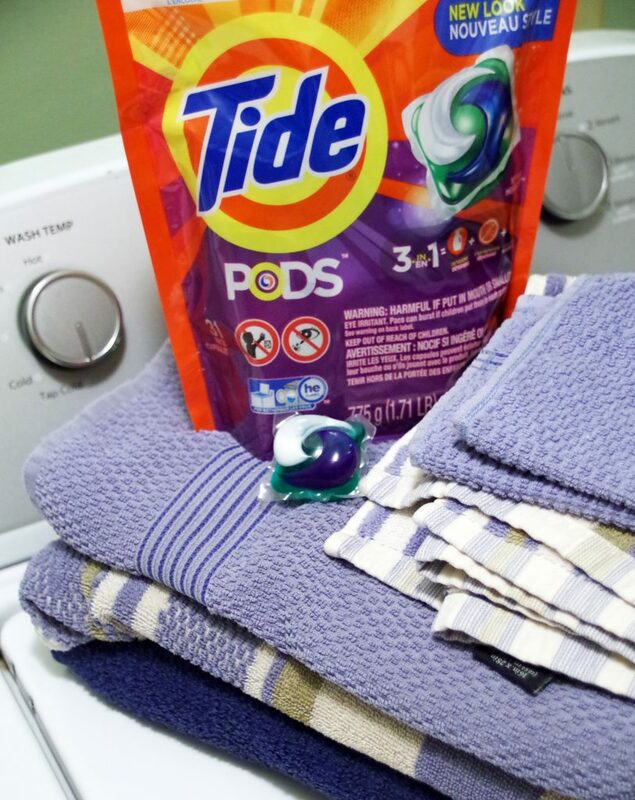 Now that you have all the info you need on washing clothes in cold water, head over to Walmart.com and pick up some Tide PODS. Summer is coming and ice cream is messy! Do you wash clothes in cold water? This is a sponsored conversation written by me on behalf of Tide at Walmart. The opinions and text are all mine.